When you bring new developers in to help enhance an already established product with new features it can only mean one thing. Refactoring. Which inevitably leads to branching and merging like, a lot. All par for the course on a software project but when you end up concurrently maintaining separate branches of code for bug fixing the current release, working on new the features, and integrating a new UI design, all while simultaneously upgrading the IDE, ORM, and Framework versions behind the scenes, things can get rather hairy. 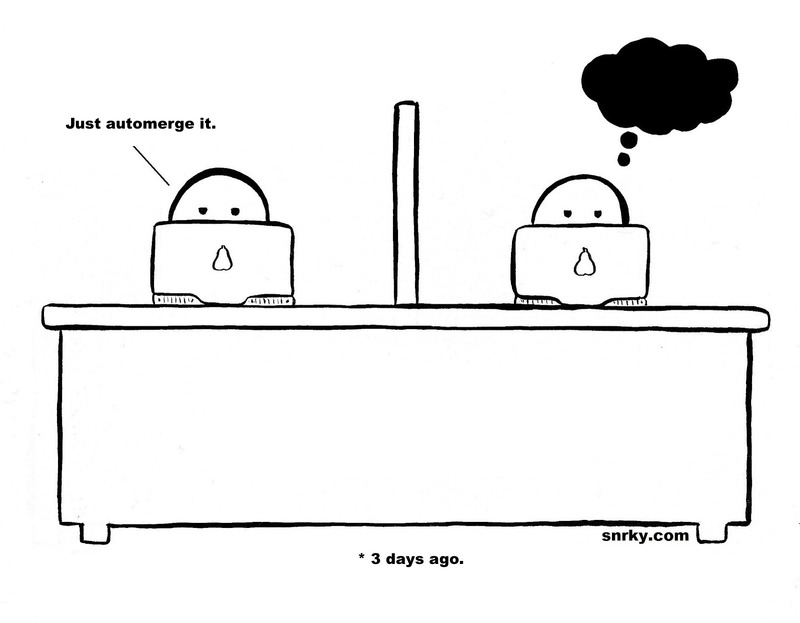 On the upside, we have had ver little in the way of merge-induced code catastrophes. Whether that's due to having a team of solid developers or dumb luck is probably up for debate.